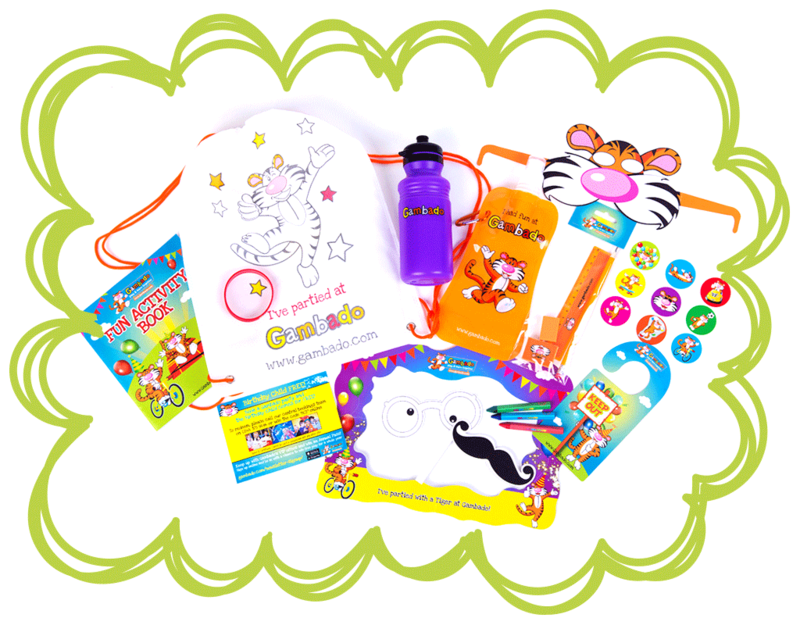 Bespoke Activity Packs | Kids Activities for Restaurants, Hotels & the Leisure Industry. Bespoke designs created to meet all budgets. Bring your brand to life for young families. If you require a volume of 10,000 units or more over the year, Crafti's offers our in-house design service at NO ADDITIONAL COST. We will also hold onto your stock and you only pay as stock is required. Sounds good? Get in touch to find out more! Crafti's has an in-house team dedicated to innovative design and product research, which means we can create totally bespoke products or designs to meet your requirements and enhance your family-friendly brand. Our extensive range of products are so popular with young visitors they often choose to take them home, generating even more recognition for your brand! Speak to our team on 01327 358508 or email TheTeam@craftis.co.uk to find out more! 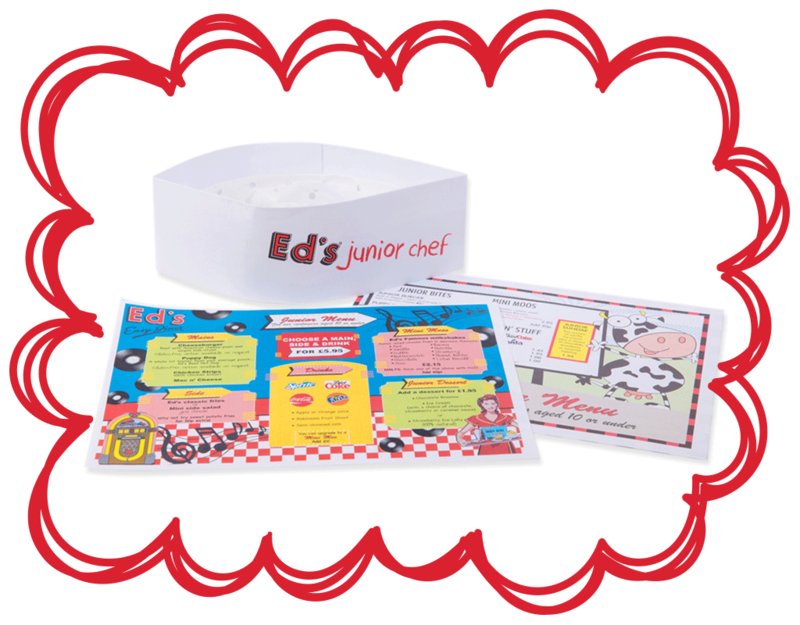 Bespoke collections throughout all the parks from teddy bear picnic hats and meal boxes, activity bags in all restaurants and themed activity chef hats in the branded Pancake House & Huck’s restaurants. 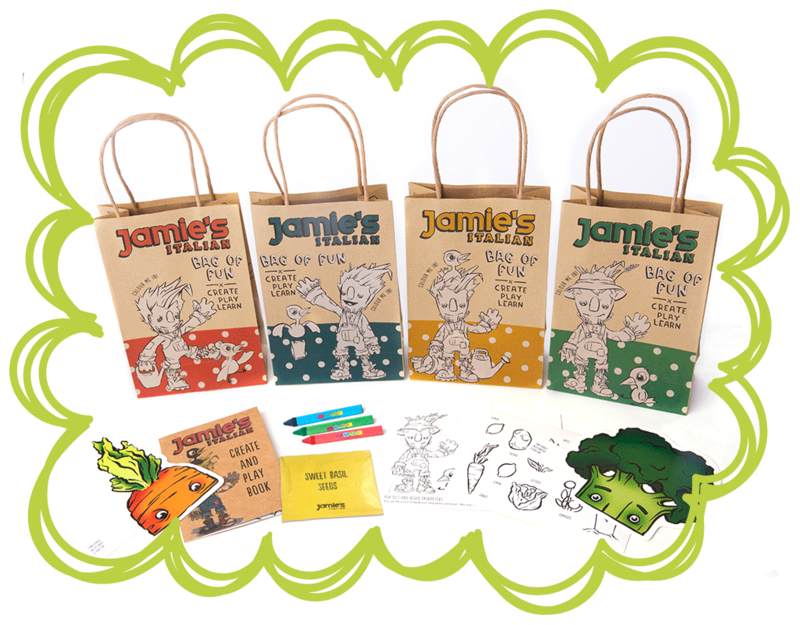 A range of 4 bespoke brown kraft 'Bags of Fun' featuring Rags & Cornelius with food-related selfie props, brown kraft activity book with stickers, crayons and a 3-D colour in character to use on the side of the bag colouring in scene. Children can collect all 4 bags to build up the full scene. Full bespoke range inclusive of party bags for a variety of different party packages across 25 clubs in the UK, including pirate, princess, kidz crew, super hero & teddy bears picnic (for under 3s). Also includes paper cups, paper plates and colour in table covers. 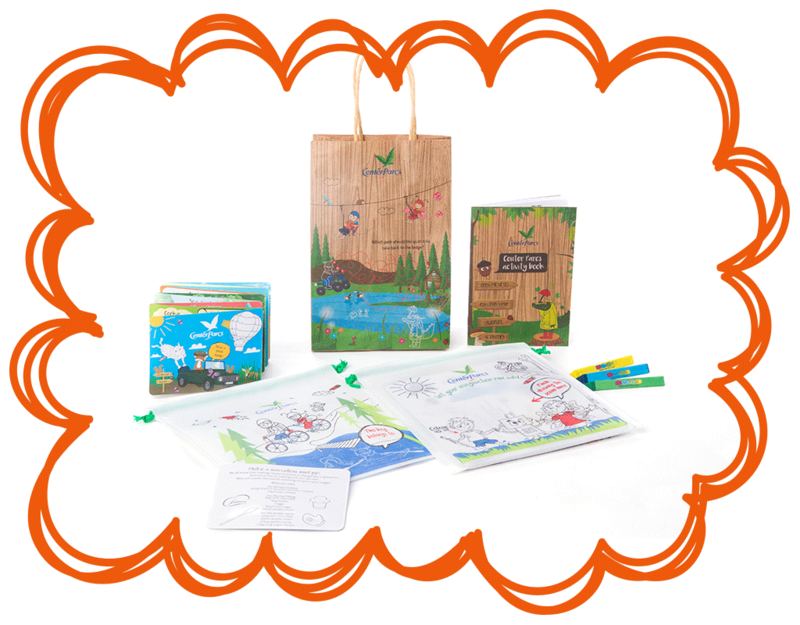 3 designs of bespoke brown kraft activity bags, each containing a fun puzzle activity book, 3 triangular crayons, masks, games, selfie frame & props and a designed collector’s card & stickers, which can be redeemed after 3 visits for a mystery prize – a branded drinks pouch, stationery set & wrist band & curly straw. 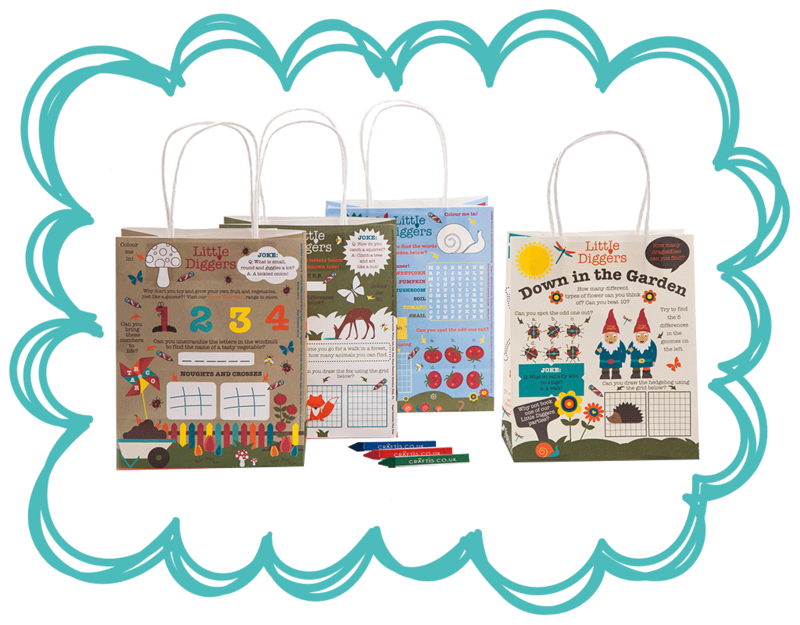 A bespoke range of 4 brown kraft activity food bags, each containing 3 triangular crayons and offering puzzles, word searches & games on each side of the bag. Found in all 48 restaurants throughout the UK. Bespoke suitcase containing a diary, miniature passport with stickers & certificate, gameboard, postcard, rubber, pencil & ruler. Branded new woven material activity bags with selfie frame & props, activity book & stickers in all 31 sites across the UK. Bespoke party packages throughout all 4 indoor soft play venues in the UK providing a range of pre-filled party bags, standard, deluxe and super deluxe, along with disposable meal boxes, cups & plates. 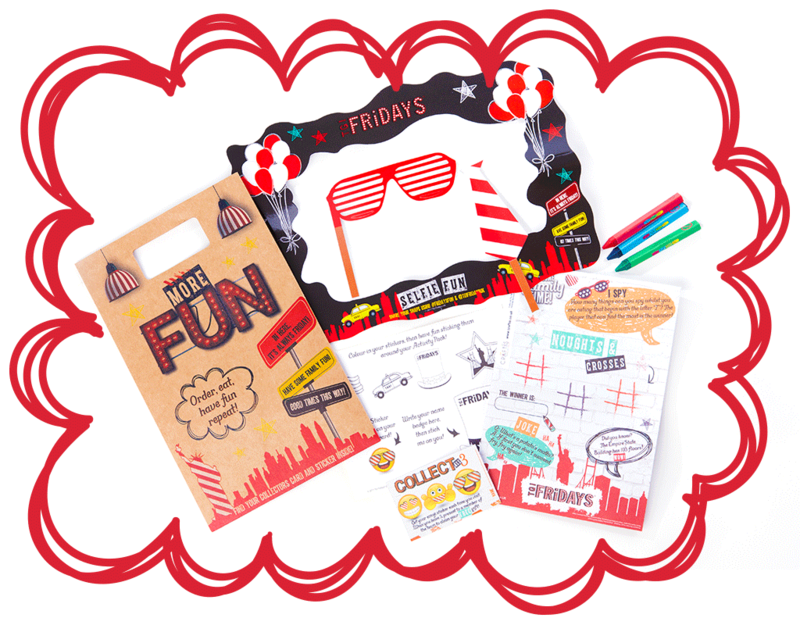 Fun branded woven activity pack given to children as a gift when parents are exchanging currency at their 145 branches across the UK. 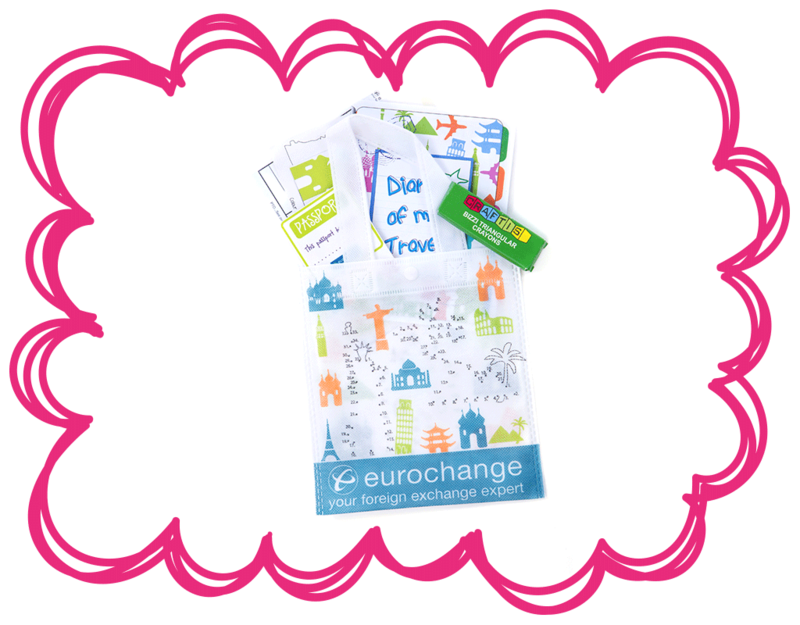 Packed full of fun, currency converters, postcards, passport, diary, stamps & triangular crayons. 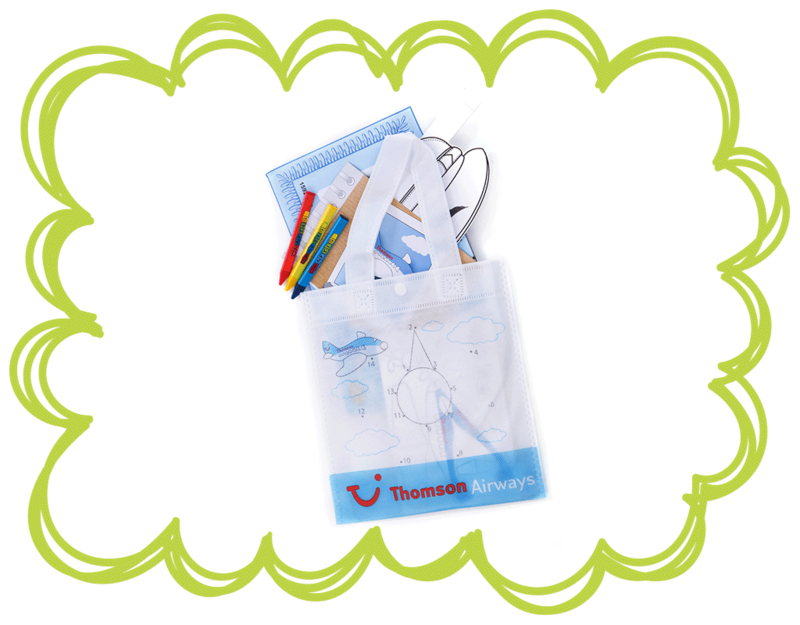 Bespoke woven activity bag for children on board to colour in, with fun pilot hat, postcard, certificate, diary & triangular crayons. Branded activity bag containing an activity pack, jigsaw puzzle and wooden pencils, handed out to children prior to boarding all ferries. Branded partyware for all 6 soft play sites including paper cups, paper plates, drinks bottles, party bags & welcome packs containing discount vouchers & joining gifts. 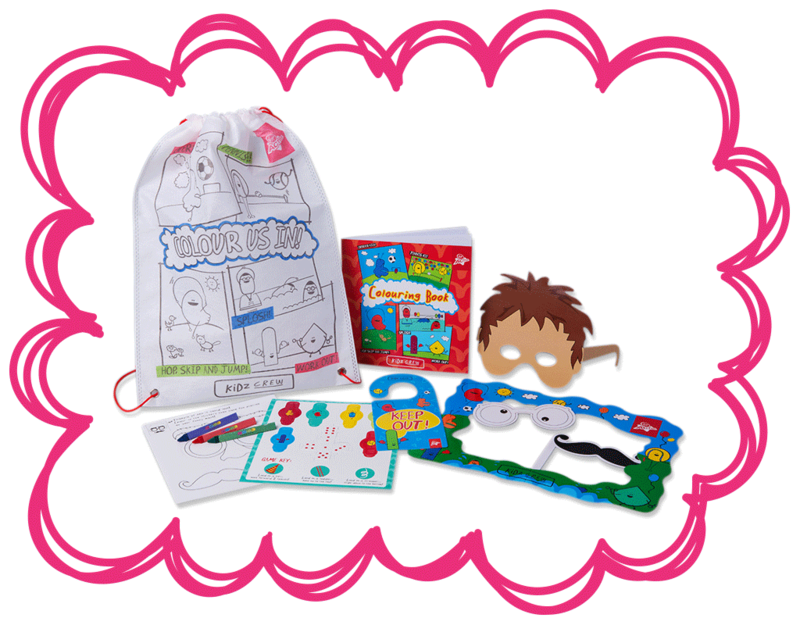 A branded activity pack with finger puppet and triangular crayons, packed full of fun activities to entertain children in all 17 Brewhouse & Kitchen sites across the UK. A bespoke drawstring rucksack given to young guests at check in. 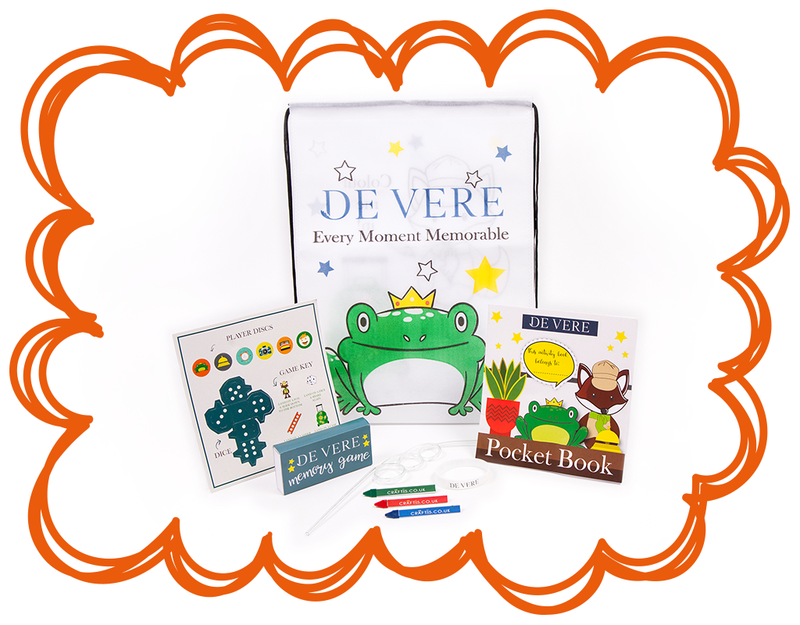 Packed full of De Vere branded fun including wrist bands, curly straw, a matching pairs game, activity book, triangle crayons & mask! Fun filled ‘Little Diggers’ meal bags in 4 fabulous designs, available in all Wyevale restaurants across the UK. 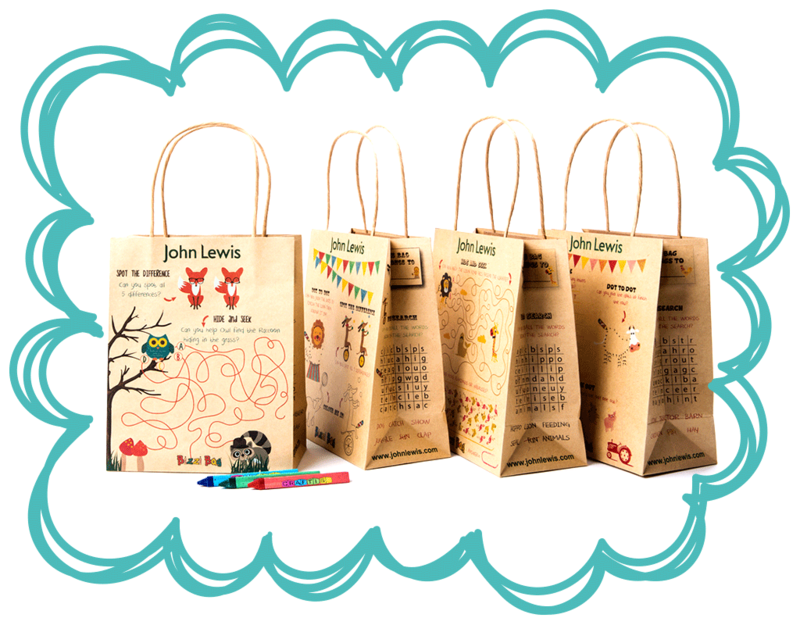 Fill the bags with your tasty meal deal and enjoy hours of colouring in. Each bag contains a pack of 3 coloured crayons. 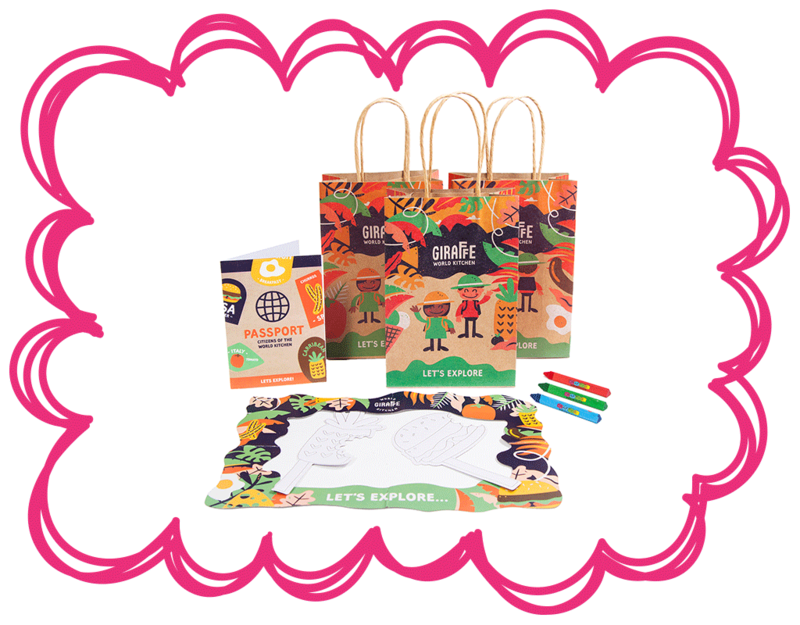 Three different designs of 'Let's Explore' branded bags covered with activities, each pre-filled with a selection from selfie frame, props, activity passport, postcard, stickers & triangular crayons. 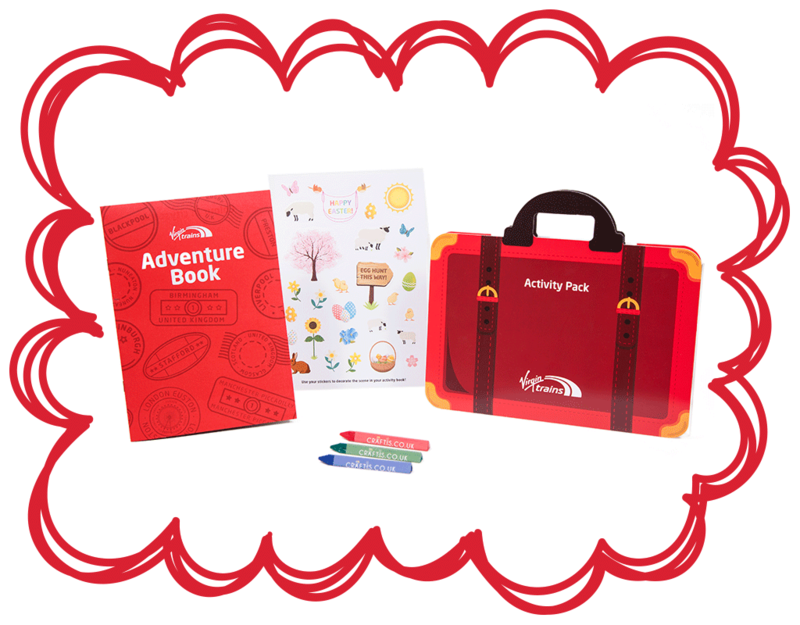 A branded little suitcase with activity book, stickers & 3 triangle crayons (ideal as they don't roll off the tables on the fast moving trains). Handed out to all young children in their food & beverage carriages. 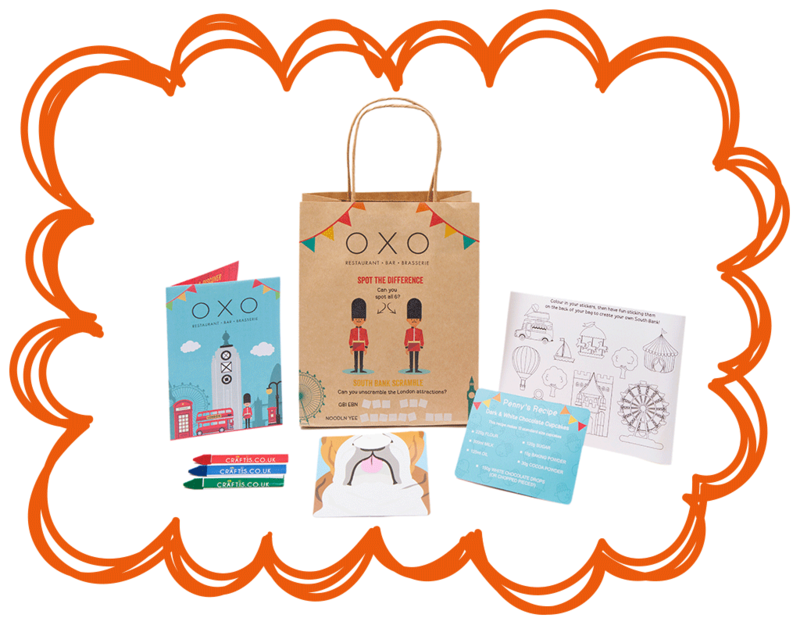 Young diners at the Oxo Tower Restaurant will be delighted with these bespoke brown kraft activity bags with a sticker scene on the back, activity sheet, face mat, recipe card, colour me in stickers & 3 triangle crayons. 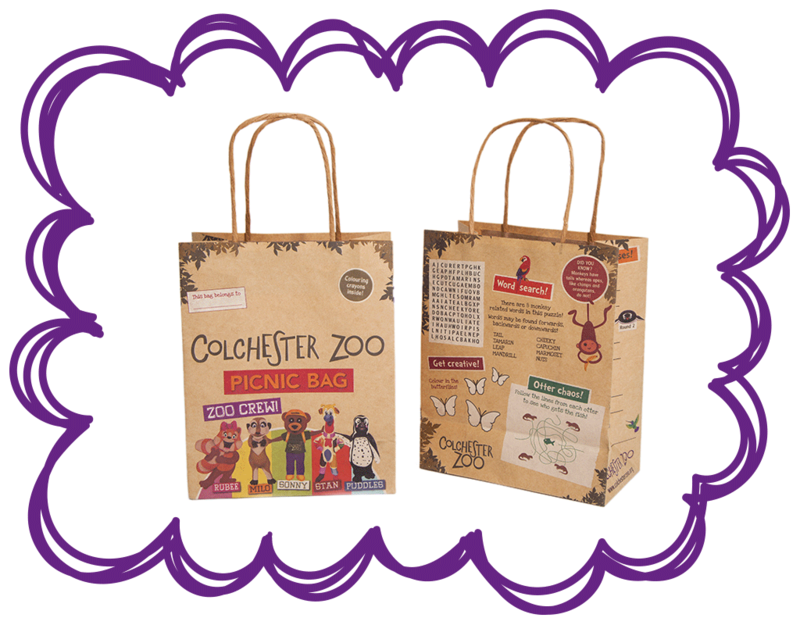 These bespoke brown kraft picnic bags feature the Zoo Crew Rubee, Milo, Sonny, Stan & Puddles. 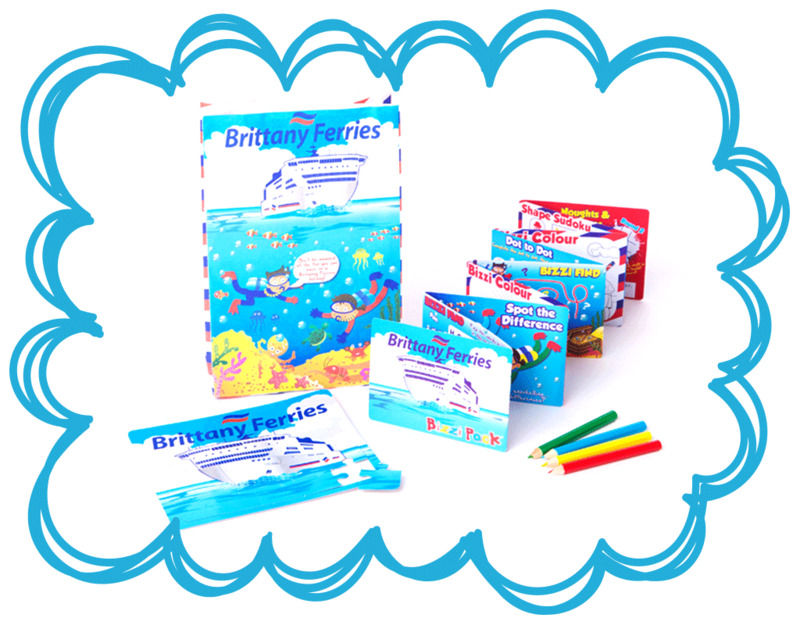 Covered with lots of fun activities and including crayons, they are sure to be a hit long after young visitors have arrived home. 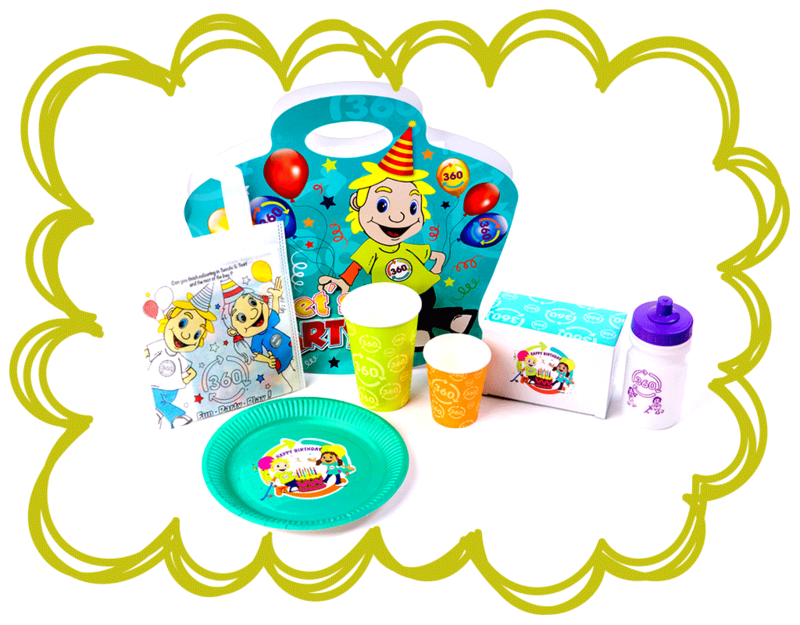 Nuffy really comes to life at Nuffield children’s parties with this gorgeous range of bespoke activities, including Big Bizzi Bags, kraft food boxes and meal bags, paper cups & plates, party invites and a fabulous branded table cover. 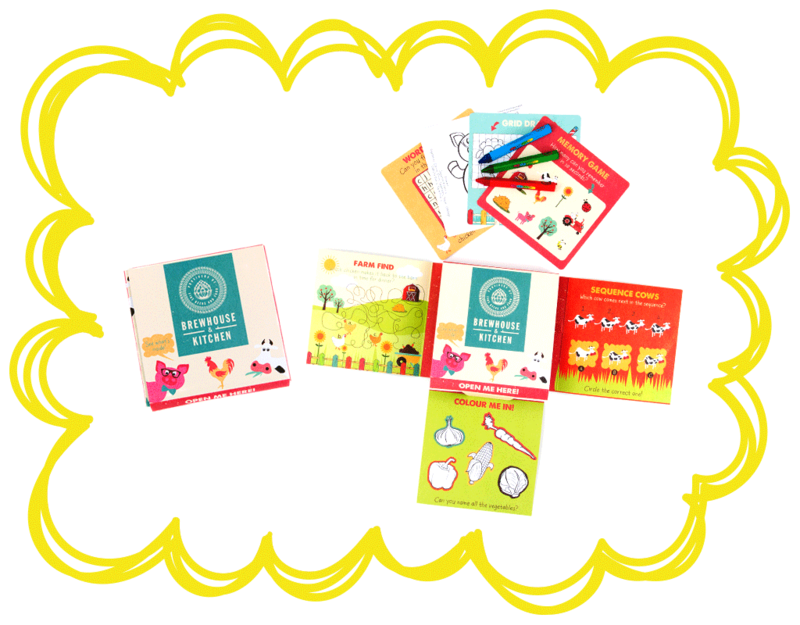 A branded concertina activity pack for children dining in Croma restaurants. 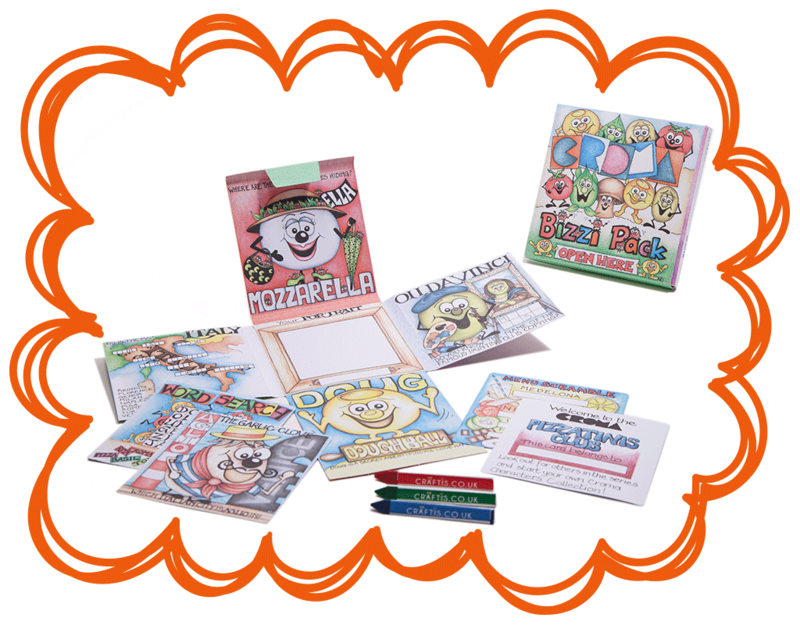 Have fun with their pizza characters, join the Pizzatini's Club characters collection and colour in with Crafti's triangle crayons while dinner is being prepared!